My sister sent me this today. 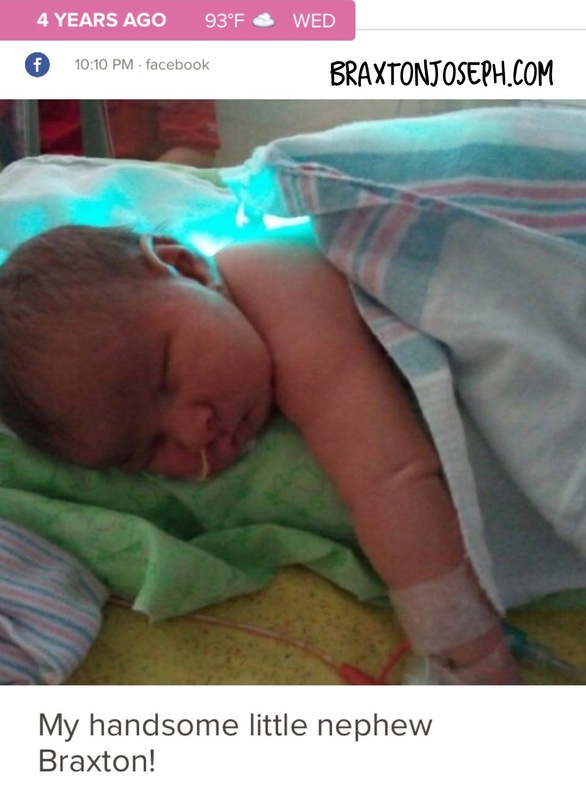 It’s a photo of Braxton just 5 days old in NICU with a nasogastric tube, laying on a bilirubin blanket because he had jaundice. On top of a condition that doctors could not explain to us. It is crazy to think about where we were 4 years ago compared to where we are now. Every year since we left the NICU I think about the progress we’ve made and complete lack of hope we had in those early days. 4 years ago, we didn’t know what was going on with Braxton, and all the doctors led us to believe he was fighting for his life. 4 years ago, I watched my daughter’s face frown in sadness and confusion when we told her she couldn’t meet her baby brother. And every day when I left to sit with him in the hospital. 4 years ago, I sat in a cold hospital room surrounded by a number of other babies holding back tears and praying to take my baby home. 4 years ago, I couldn’t stop crying when I was alone because I wanted nothing more than to have my sweet boy with me at home, where he belonged. 4 years ago, I didn’t want to hear any “success” stories because instead of giving me hope, it made me feel like more of a failure. 4 years ago, I was lonely, sad, depressed, and desperately trying to hold myself together. 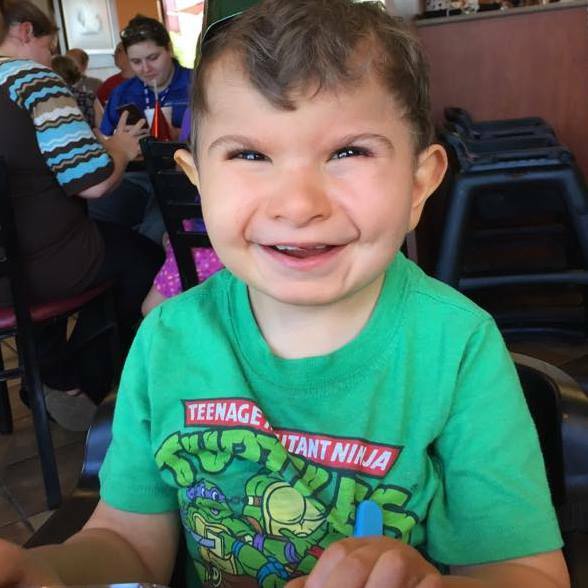 Today, we know that Braxton’s condition, while lifelong, is not terminal. It is not something that can be cured, but we embrace it as part of who he is and love him more than anything. 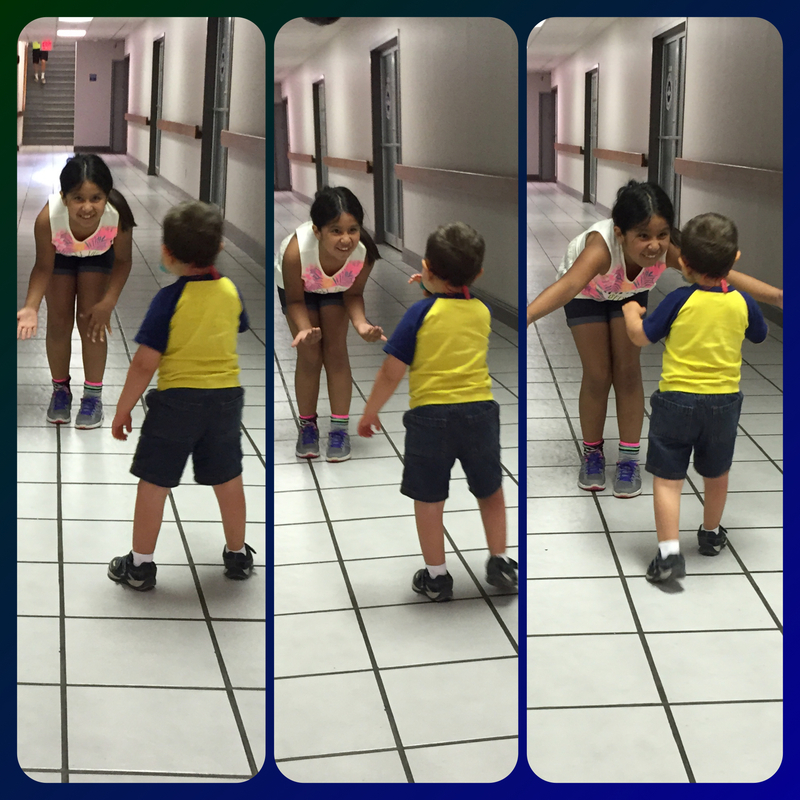 We know that Braxton is full of life and spirit and joy. Today, Braxton’s sister is his biggest supporter and the bond they share is something incredible. The looks full of love and embraces mean the world to me. Today, Braxton is at home walking and doing things toddlers do. 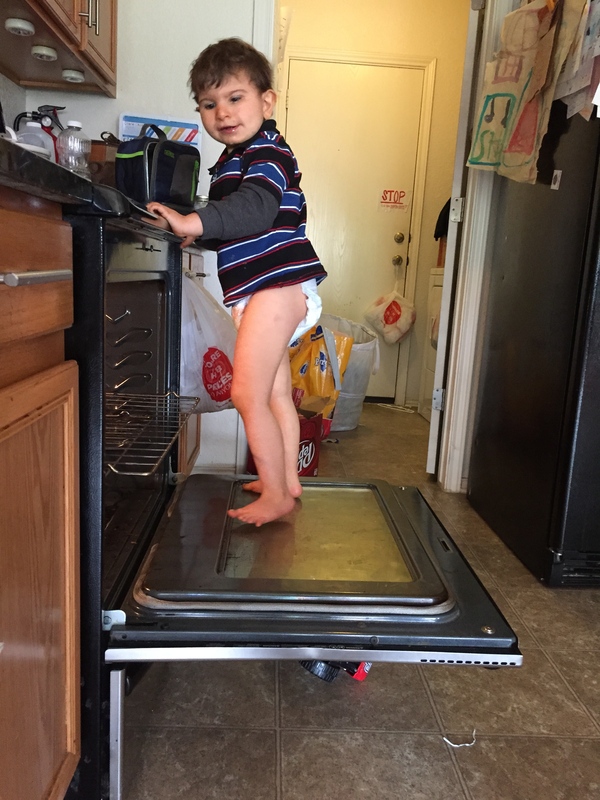 Making messes, getting in to things he isn’t supposed to, taking all of the dishes out of the cabinets and drawers, climbing the stairs, crying when he doesn’t get his way, and so much more. Today, I only cry on the hard days. The days when Braxton won’t stop crying and I can’t figure out why because he doesn’t have the words to tell me. I still cry a lot, but there are more happy tears than sad. Especially when things finally come together and Braxton makes progress. Like when he recently learned how to use his Communication App (Speak for Yourself) to request hugs and kisses and in a matter of a few weeks it’s expanded to requesting other favorite toys and activities. Today, believe it or not, I share OUR success story with others. I’ve shared our story through our blog, on tv, on radio shows, in newspapers (take a look here to see! ), and I’ve even given presentations at conferences. 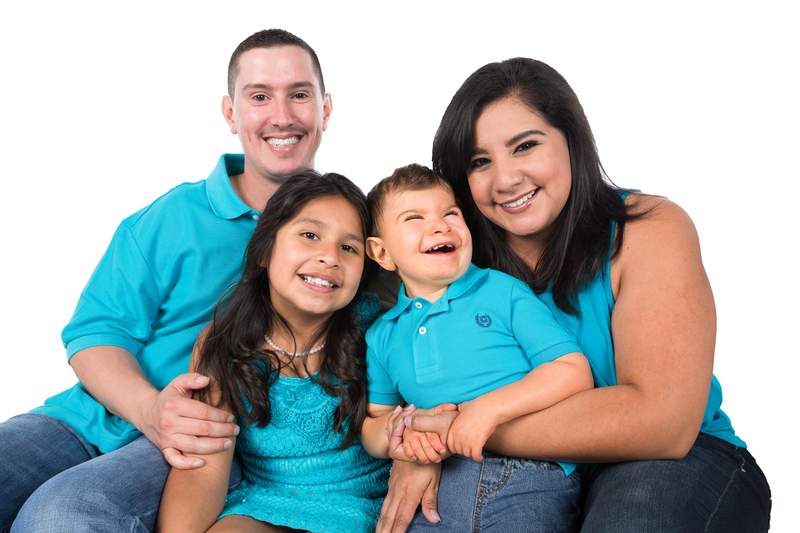 I even have a pending webinar where I will talk to professionals about the family perspective and tips for making the experience better for families in those early stages. 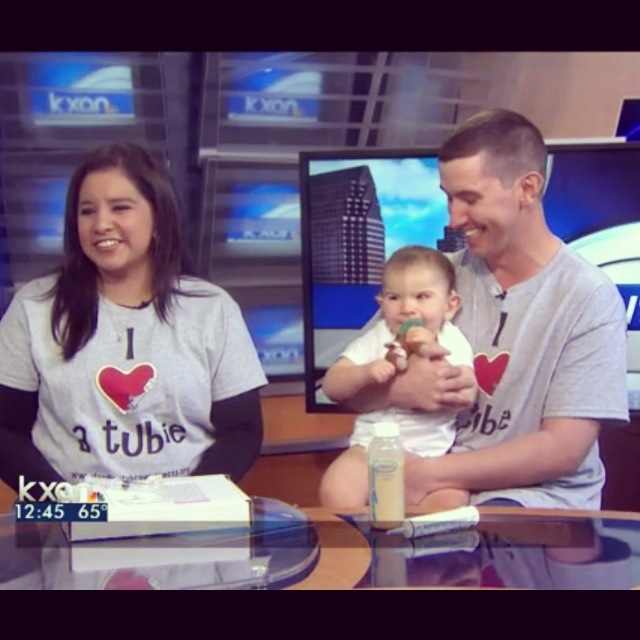 Our first visit to KXAN for Feeding Tube Awareness Week. Today, our family is not alone, we are happier, stronger, and full of life, love and laughter. What a difference from 4 years ago. 4 years ago, I would not have believed we could be where we are now. Today, I still don’t have all the answers to what the future holds, but I’m no longer scared and look forward to the adventures that are still to come. Some days I don’t have it all together, but we make it through the day and try again the next. We take it a day at a time, choosing joy every step of the way.